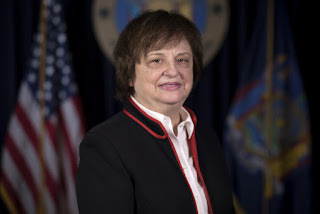 SYRACUSE, N.Y. -- Attorney General Barbara D. Underwood today announced the guilty plea of David R. Smith, former President of SUNY Upstate Medical University, for abusing his position as President of Upstate by using several methods to illegally increase his pay. Smith today entered a guilty plea before the Honorable Vanessa E. Bogan in Syracuse City Court, to three counts of Official Misconduct in violation of Penal Law § 195.00(1). As part of a plea agreement, Smith must pay over $250,000 in restitution and fines. "David Smith brazenly abused his position and exploited those he served in order to line his own pockets – and now he's facing the consequences," said Attorney General Underwood. "We have zero tolerance for those who try to game the system and violate the public trust, and my office will continue to hold public officials to account." From approximately September 2006 to November 2013 when he resigned, Smith was the President of SUNY Upstate Medical University ("Upstate") in Syracuse. A joint investigation by the Attorney General's Office and the Inspector General's Office revealed that Smith's initial compensation was negotiated by the then-SUNY Chancellor, followed by approval of the SUNY Board of Trustees. Following Smith's appointment as President of Upstate, he knew that he was required to obtain approval from the SUNY Chancellor prior to receiving any raises or other increases in his compensation. "Once a top executive at a premier medical school and now a convicted criminal, this defendant shamelessly corrupted his position of trust and exploited the university's lax oversight for an extraordinary theft. Dr. Smith improperly manipulated and siphoned from numerous funding streams under his control, and my investigation is continuing to help ensure such foul play can never happen again. It is now clear that his primary role of ensuring the highest quality education for students and care for patients was at best secondary to his cynical schemes to illicitly pad his income. I thank Attorney General Barbara Underwood and her office for their work on this case," said Inspector General Catherine Leahy Scott. (3) directed and oversaw the creation of an unauthorized deferred compensation plan through MedBest Medical Management, Inc. for the benefit of himself and others, without the authorization or knowledge of the SUNY Chancellor. In addition to pleading guilty to three counts of Official Misconduct, as part of a plea agreement, Smith is required to pay $247,419.95 in restitution and $3,000 in fines. Smith is also expected to be sentenced to three years of probation on December 10, 2018. If Smith fails to adhere to the terms and conditions of his probationary sentence, including the payment of his restitution obligations, he could face up to three years in jail. Assistant Attorneys General Mary Gorman and Bridget Holohan Scally are prosecuting this case and were assisted by Senior Analysts Joseph Conniff and Sara Pogorzelski, under the supervision of Public Integrity Bureau Chief Daniel G. Cort and Deputy Bureau Chief Stacy Aronowitz. The investigation was handled by Investigator David Buske of the Investigations Bureau, with support from Supervising Investigator Richard Doyle, Deputy Bureau Chief Antoine Karam, and Bureau Chief Dominick Zarrella. The Attorney General thanks Inspector General Leahy Scott and her office for their valuable assistance in this investigation. In addition to a referral from the Inspector General's Office, the Attorney General also received a referral from the New York State Joint Commission on Public Ethics ("JCOPE") to prosecute this matter, and thanks JCOPE for their valuable assistance with this investigation.